Carolina Bags was created by Kathy DeLoache after being inspired by her cousin’s daughter, Nicole Cohen. Nicole started Savannah Bag Co. while working as a physician, wife and mother of two young children. Kathy and Frank are raising their 7-year-old granddaughter, Riley, and were looking for a new adventure for the entire family. As they developed the business, they decided to showcase real art from real artists, including award winning fine artists and self-taught artists who hope to one day practice their craft full-time. Frank, a former newspaper journalist, and Kathy, who works a full-time corporate job, will operate the business as a team. Frank is responsible for the website, fulfilling orders, shipping and keeping up with the business side. Kathy will solicit new art/artists as they try to put quality art and wearables into the hands of everyday consumers. 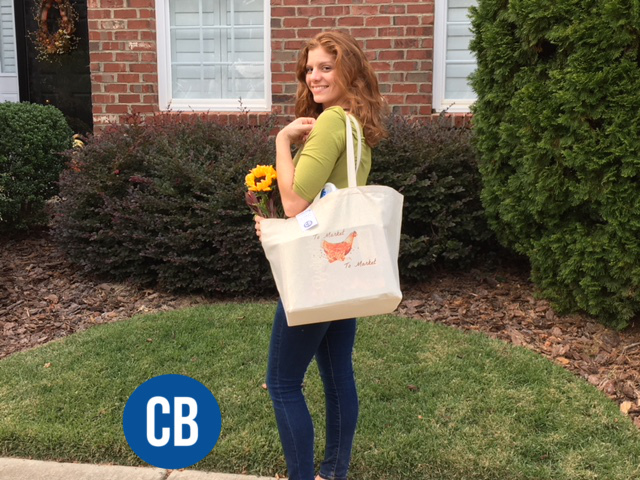 All of Carolina Bags pieces are crafted by local artists, using sustainable, durable canvas bags - no plastic. The high-quality material make them great for gifts to your wedding guests, teachers, birthdays, family reunions or any other special event. We can customize any order or bag to your specifications. Want a special image printed on a bag for your church? Use our Contact Form to be in touch. We promise to get back to you within 24 hours. The company will highlight some of the work of local artists on our Facebook page from time to time, because we want to support a vibrant and robust local art community. And we want to make sure you are aware of the talented craftspeople living in your area. If you visit our artists' websites and see a piece you'd like to have on a tote bag or apron, contact us. We can do that. And matching tote bags and aprons make for great gifts at family reunions, weddings or holiday parties.